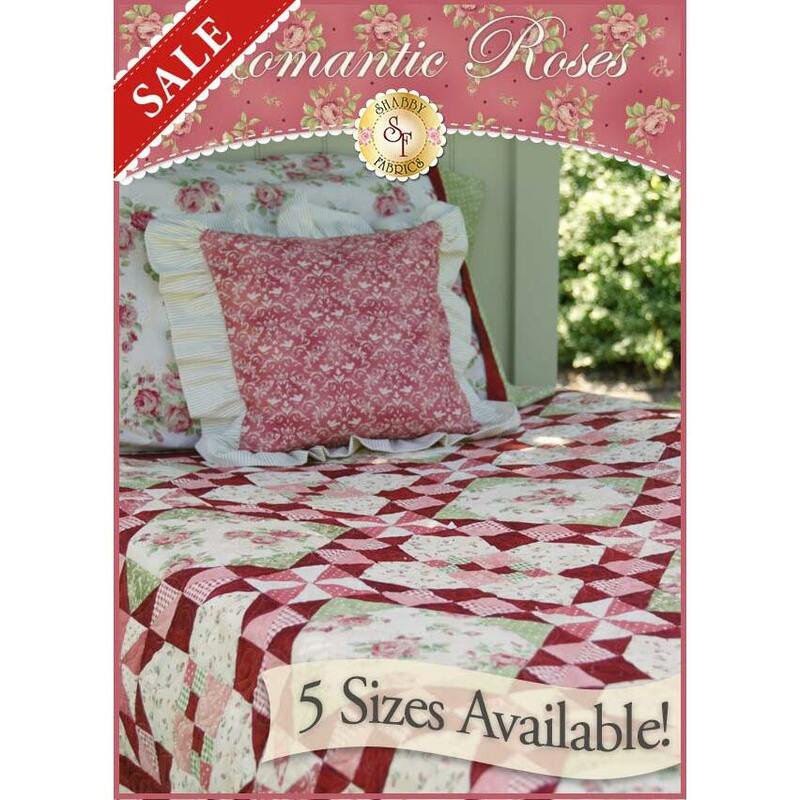 Bring your rose garden inside with the Romantic Roses Pieced Quilt! This remarkable quilt features three dynamic block designs that blend together to make a striking masterpiece. This Shabby Exclusive was made with our premiere fabric collection, Welcome Home Collection One! 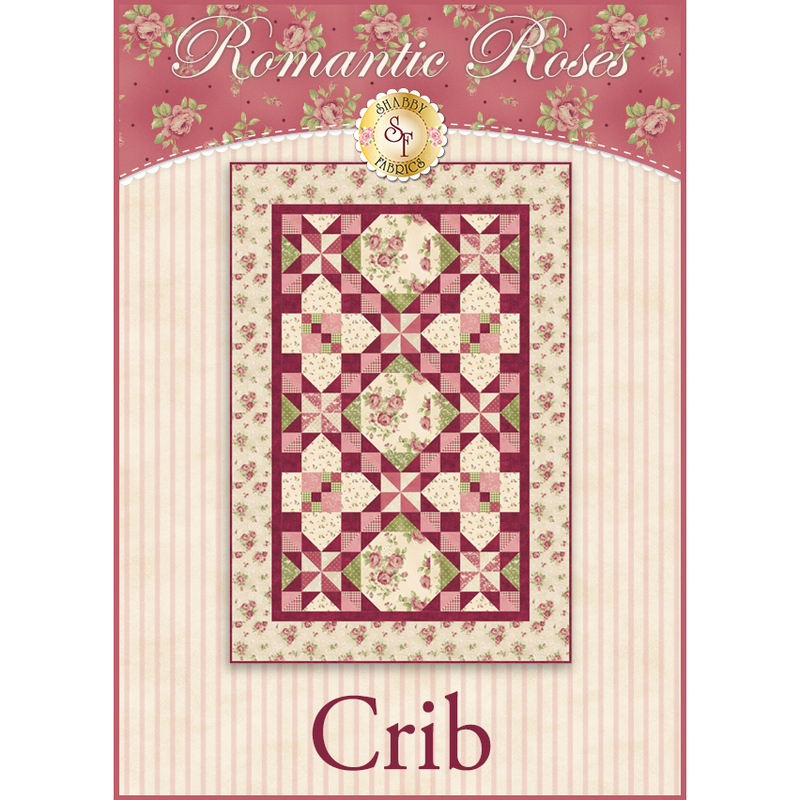 CRIB - 34½" x 50½"
LAP - 50½" x 66½"
TWIN - 69½" x 89½"
Your kit will include the pattern (5 sizes included! ), all top fabrics, the border fabrics, and binding. For your convenience, the outer border fabric is cut as one continuous piece down the length of the fabric. This means that enough fabric is included in your kit so you don't have to worry about piecing the borders! Backing is not included. For precision cutting and measuring, add the Olfa Splash 45mm Rotary Cutter and the Omnigrip 6 1/2 inch Square Ruler under the options below. To make the star singles quick-and-easy in this quilt, add the Star Singles 2" Half Square Triangle Paper under the options below! Learn how to make Half Square Triangles quickly and easily using Star Singles in the tutorial below!